Podere Santa Pia is located in a strategic position, only a short distance from a large number of sites of historical and cultural interest. Numerous towns and villages offer a treasure trove of history and art waiting to be discovered. 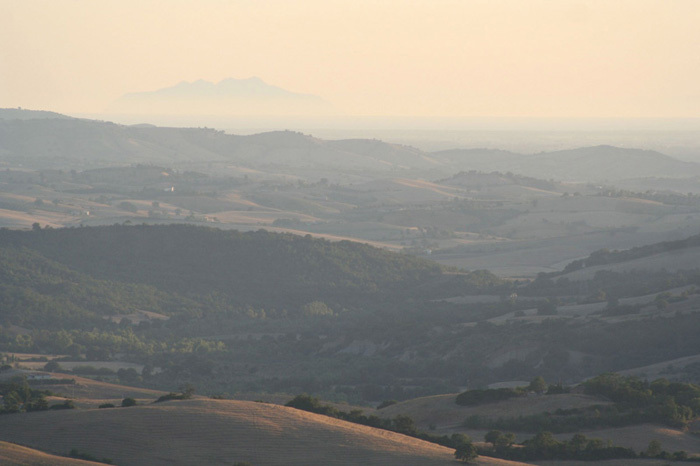 Drive through the magnificent hills of the Montecucco wineregion all the way to Montalcino, and enjoy the beauty of villages and hamlets along the way. With roughly 250 wineries producing Brunello di Montalcino, Rosso di Montalcino and other Tuscan DOC wines, a wine tour is always a good idea. 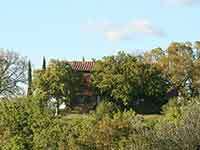 Also the bordering Montecucco DOC and Morellino di Scansano regions offer plenty of wine tasting opportunities. Podere Santa Pia can organize a trip to taste a great selection of top Tuscan red wines and have lunch in one of those famous cellars. Hikes and walks through the vineyards are accompanied by stunning views of the rolling hills, small vilages and churches.